A. The vision benefit offers 10% to 60% discounts on eyewear and eye care at more than 20,000 vision providers throughout the United States. Providers include national optical chains such as LensCrafters, Pearle Vision, Visionworks and JCPenney, as well as regional chains and thousands of independent practitioners. 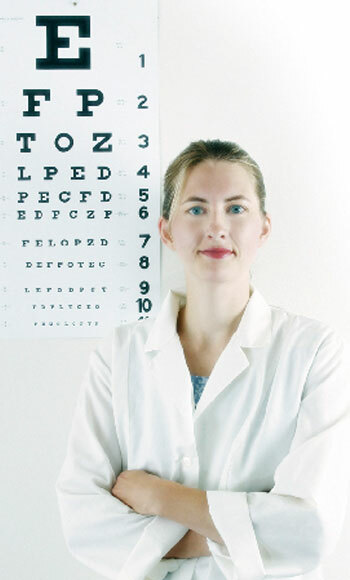 Often many participating locations offer discounts of 10% on eye exams for both eye glasses and contact lenses. Additionally, the ophthalmology portion of the network offers 10% to 30% discounts on eye exams and surgical procedures, including the popular laser surgeries in select markets. A. Many variables go into the calculation of the discount such as market demographics, location, hours of operation, one-hour service capability and level of retail mark-up. Example - a chain provider in a major metropolitan mall, open seven days a week, 10 hours a day with an on-site lab, will more than likely have a different mark-up than an independent practitioner in a rural community. However, members will pay almost exactly the same price for the exact same materials regardless of where the purchase is made. Only the percentage of discount off retail may vary. A. Yes, at approximately 4,000 of our 20,000 vision providers nationwide. Our member service representatives can tell you which locations discount eye exams in your area.